Well before I talk about food, I should mention the nice selection of sake. 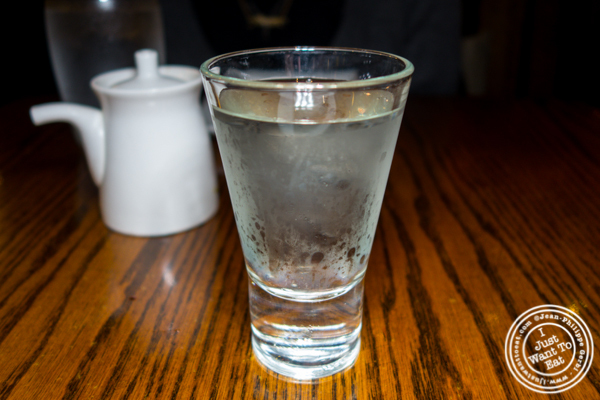 I tried their Otokomaya Junmai, a dry sake with a rich flavor. 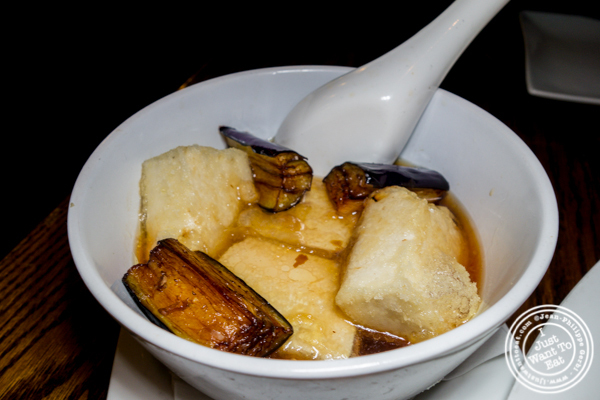 The first appetizer was the nasu age tofu, that is lightly fried tofu with eggplant, ginger, bonito, sitting in a delicious and flavorful dashi broth. 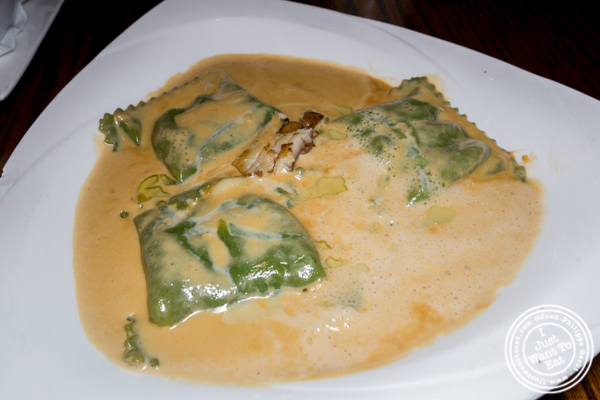 The second appetizer is where the Japanese-Italian fusion appears: it was the tofu ravioli served with shiitake mushrooms and a Parmesan cream sauce. Rich, it was not boring at all and I could see this dish being served as an entree. Then, Jodi got some shiitake avocado roll that was quite good, the avocado being ripe and therefore adding some fattiness to it, pairing perfectly with the mushrooms. And on my side, the eel avocado that was superb. I love the taste of eel that is quite strong without being fishy. Last was dessert. We hesitated between their tempura cheesecake and the banana spring rolls and chose the latter. The deep fried rolls were served with a chocolate sauce. It was the perfect way to end the meal: the banana was sweet and the spring rolls nicely crispy without being greasy. Very comforting. I was a great dinner. Natsumi is a nice restaurant with interesting dishes that I will for sure try next time and a nice selection of vegetarian dishes. I definitely recommend this place.